Do you haul it, want to haul it, or have ever thought of hauling it? Whatever category you fall into, then check out Pro-Lineâs new Boulder Holder body for the REVOÂ® 3.3, MGT, LST, TNX, Genesis, Warhead trucks. Nothing says fun like the Boulder Holder. Throw it on your truck, throw stuff into the bed and go. Of course, itâs not made for carrying a however many ton load that full scale trucks do but, you do have options to customize the hauling area with rock, dirt, concrete, or anything in-between. Itâs been sculpted after many of todayâs traditional dump trucks so details and proportions have all been paid close attention to. 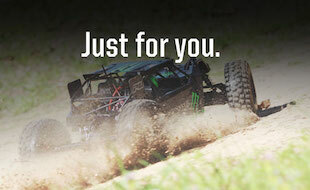 When youâre looking to take your monster truck to the next level, then check out Pro-Lineâs Boulder Holder body for REVOÂ® 3.3, MGT, LST, TNX, Genesis, Warhead.